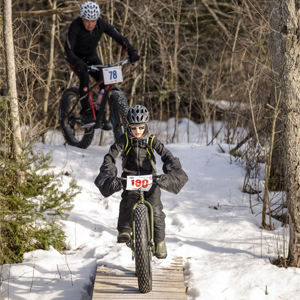 2019 Fat-Bike 3: Georgian Nordic is taking place January 26th at the Georgian Nordic Outdoor Activity Centre in Parry Sound. The course will be a mix of fast flowing XC Ski trails and fun groomed out single tracks. Some locals got their hands on some sweet grooming equipment and they are chomping at the bit to get started! For complete event details and to register for this event, click here.